Yoga can be physical, mental, or spiritual practices. Of its many schools of thought, we are most familiar with Hatha Yoga which includes the physical practise of postures known as asanas. These asanas practised in different manners can help the body in a variety of ways. Come find a moment of peace or a moment of intense physical exhaustion in one of our yoga classes! Sadhana is a Hatha and vinyasa Yoga teacher with traditional and mindful approach. Once worked in corporate she found her calling in ancient teachings of India. She did teacher training from Sivananda Ashram, Kerala in 2015 and has learnt from rare teachers in tamilnadu, Rishikesh and Manali.Having spent significance time exploring different styles of Yoga, i.e. Hatha Yoga, Raja Yoga, Vinyasa, Yin Yoga. Her teachings are direct and intuitive with strong focus on breath and awareness so that each practice becomes a meditation in motion and her self practice is to take Yoga off the mat, making it a living practice. She considers Yoga as a way to truly bring transformation in both the body and mind while also help maintaining the balance in life. 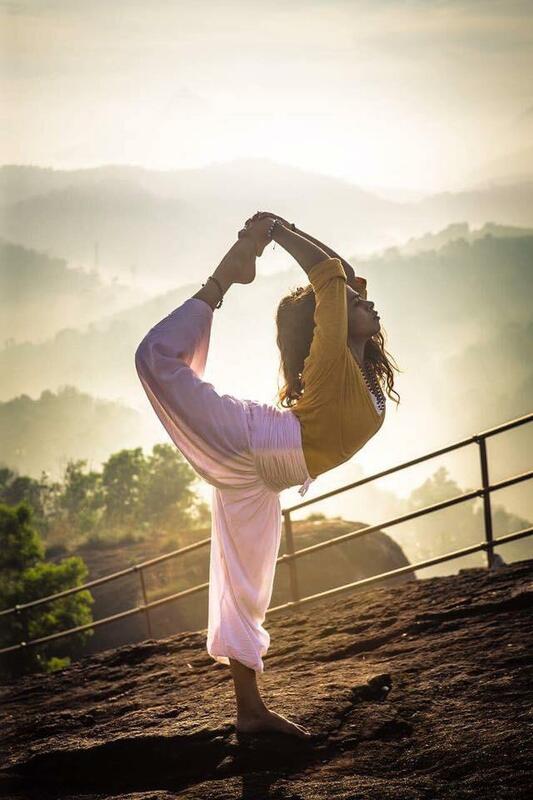 Forever a student of life, she strongly believes that Yoga is a Sarva Hita (Good for all) Practice that can be adapted for everyone across all ages and walks of Life and that is her passion to share this ancient knowledge and art of living with each and everyone she comes across in this lifetime. Ashtanga yoga is a dynamic and flowing style of yoga. It connects movements of the body with breathing and stresses the importance of a set series of movements. Contact the centre on our usual contact number of +91 9650105578 for more information on booking and buy classes by heading to our online payment store. If you are more than 15 minutes late then it is up to the instructor's discretion whether you can partake in the class. Yoga mats are available at the Centre but you are welcome to bring your own!